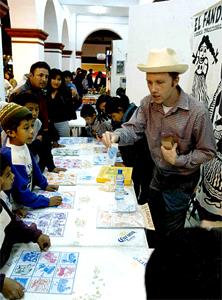 El Fandanguito es una nueva interpretación del juego tradicional mexicano de lotería. Los motivos tradicionales como la sirena, el tambor, y el barril han sido cambiados por sesenta grabados, hechos especialmente por Alec Dempster, que representan el repertorio tradicional de sones jarochos. EL juego incluye 8 cartones diferentes y 60 cartas. Cada baraja incluye un verso de Zenén Zeferino cantador y poeta del grupo Chuchumbé. 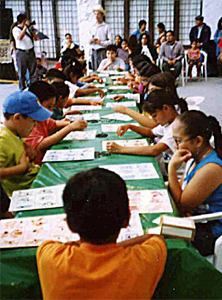 El Fandanguito is a new version of the traditional Mexican game called lotería which is similar to bingo except that images are used rather than numbers. 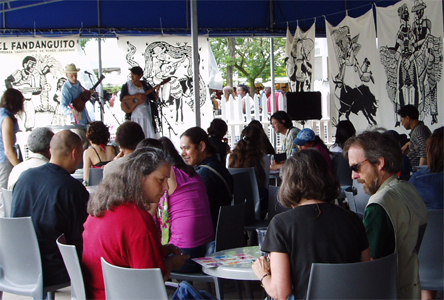 In this particular version the familiar motifs such as the mermaid, the drum, the boot and the barrel have been replaced by sixty prints created specially by Alec Dempster to represent the traditional repertoire of sones from Veracruz, Mexico. The game includes 8 different boards and 60 cards. 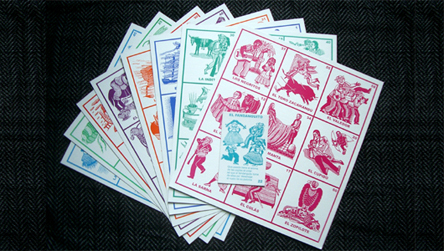 Each of the cards includes a verse written by Zenen Zeferino, singer and poet in the group Chuchumbé.